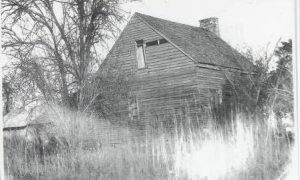 The James J. Dallas home in Rockingham County. The newest batch of materials from our partner, Rockingham County Public Library, includes two yearbooks, three books, a vertical file, several newspaper issues, and two short films. 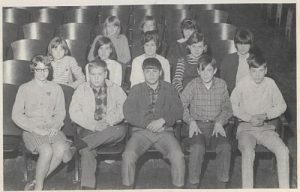 The yearbooks, from 1967 and 1968, were created by Madison-Mayodan Junior High School. The books cover the stories of Rockingham county notables John D. Robertson and James J. Dallas, as well as the Greensboro Telephone Exchange. The vertical file contains materials related to Smyrna Presbyterian Church’s centennial celebration, and the newspapers include more issues from the Fieldcrest Mill Whistle. Lastly, video footage in this batch includes two films converted from 8mm format. The first shows the 1969 Madison Christmas Parade filmed in downtown Madison, NC. The second is a film created by Macfield Inc. that details their continuing education program for employees. Serious student government officials seen in the 1968 Madison-Mayodan Junior High School yearbook. To browse through the items in this batch, click the links below. To see more materials from Rockingham County Public Library, check out their DigitalNC partner page, or take a look at their website.